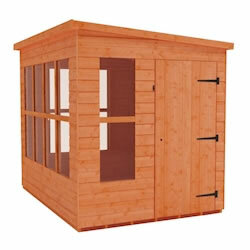 Summerhouses in a multitude of styles, from penthouse, to summerhouse plus and more, can be found in this section. 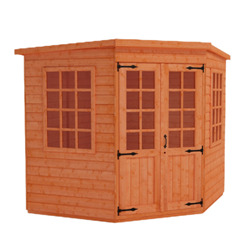 Our range of high quality wooden summerhouses are not only ideal for usage as an attractive summer house retreat but also be used as additional storage space if necessary. 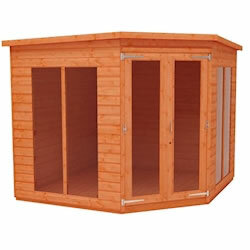 This page shows the beautiful range of summerhouses that Tiger Sheds have to offer. 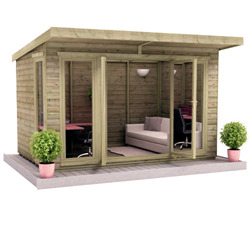 Summerhouses are a fantastic and popular way to maximise your garden space and can be used in a unique range of ways depending on what your needs are. 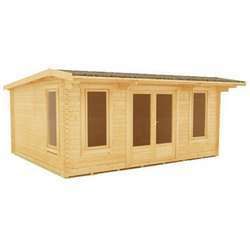 Such as starting up a home business, somewhere peaceful to focus on your hobby or a simple garden room to enjoy and take in your surroundings. 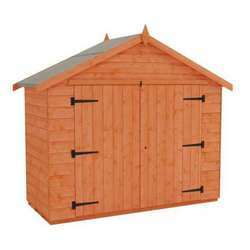 Here at Tiger Sheds, we have a stunning range of summerhouses; traditional and contemporary summerhouses, single and double door, tongue and groove, pressure treated and corner summerhouses. 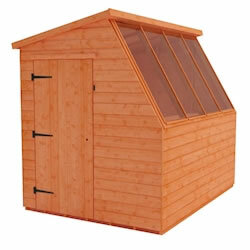 Also, not forgetting our popular potting sheds. So whether you’re searching for that classic look or maybe something modern we have a product which will suit everyone’s taste and needs. 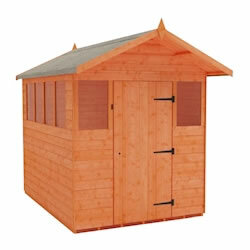 Summerhouses are now becoming increasingly more popular with the rise in ‘She Sheds’ and ‘Office Sheds’. 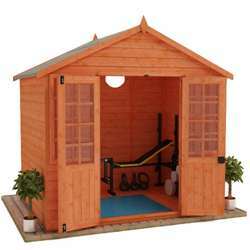 This is because these types of garden building brings in plenty of light which creates the perfect environment for inspiration and staying motivated. 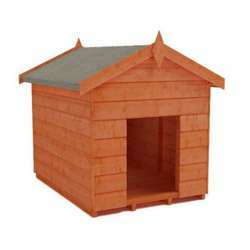 They also come in a range of different shapes and sizes so there’s something to fit every garden and everyone’s style. They’re also incredibly astatically pleasing! 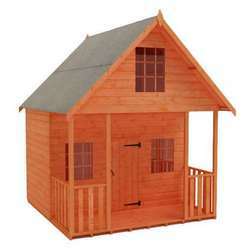 Why should you pick a summerhouse over other styles of garden buildings? 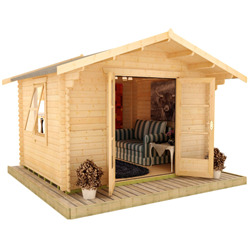 A summerhouse is not only practical but also a great way to give your garden a brand new space for the children to play, for you to work or just extra space to relax. 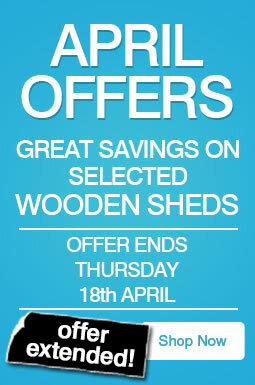 It can give your garden a whole new dimension. 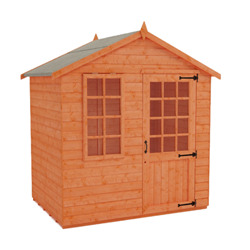 Also, summerhouses are not only beneficial during the summer months but can also useful during winter as a safe and secure place to store gardening tools and equipment. 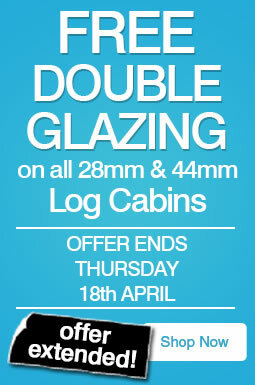 Overall they’re exquisite buildings which can be useful all year round. 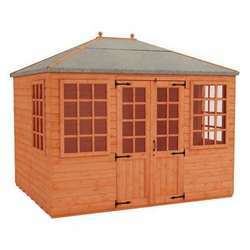 No matter what you need a garden building for a summerhouse will exceed your expectations and bring much more to your garden than you could possibly imagine. 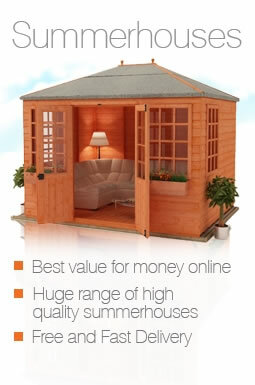 Our high quality summerhouses come with FREE delivery to most of GB mainland (exclusions apply). 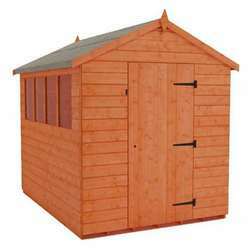 The majority of summer houses do not require planning permission. However, it may be worth checking if you do require planning permission for your building by looking at our Planning Permission page and checking with your local planning office.